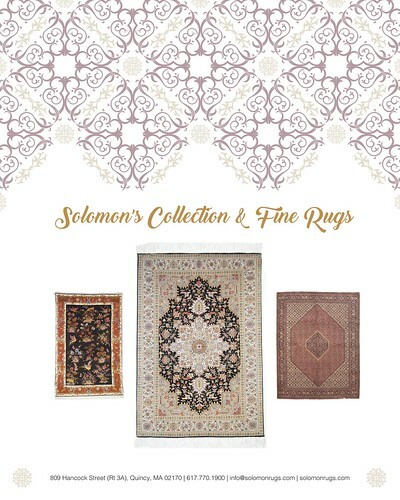 :: Sponsored by: Bromfield Gallery, North Bennet Street School, Fruitlands Museum, Solomon's Collection and Fine Rugs, Vizivel, Fuller Craft Museum, Mill Brook Gallery & Sculpture Garden and the Artscope Tablet Edition. This week we're presenting the Brookline Arts Center, ArtCountry, and Kingston Gallery with exhibitions to kick off the summer season. There are other interesting and exciting events for those who want more. The 12th International Encaustic Conference is taking place June 1-3. There's still time to register for the conference and the available Pre- and Post-Conference workshops. Visit the webpage for more details. We're sponsoring the Cambridge River Festival happening Saturday, June 2, 2018, from 11 a.m.⎻6 p.m. The festival will be in East Cambridge along DCR Cambridge Parkway and Lechmere Canal Park and is free to attend, so be sure to stop by. We'd love to see you at our table! Join us at Art Basel Switzerland June 14⎻17! For more information on the show, exhibitors, and more, please visit the webpage. 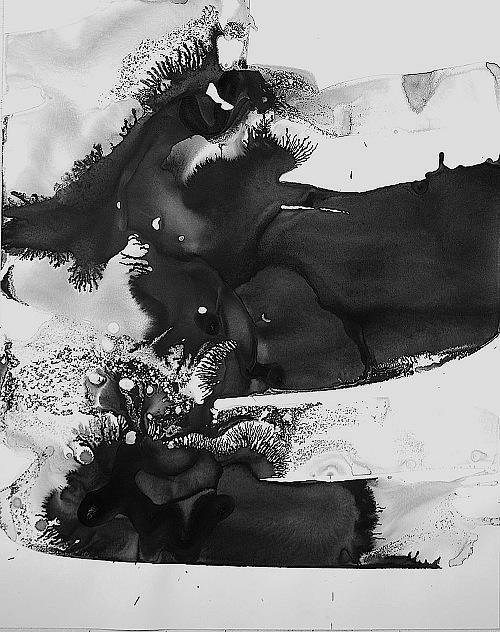 Patty Stone, "Evaporation.flow study #7"
From June 15 to July 20, Brookline Arts Center will be showing "Unframed." 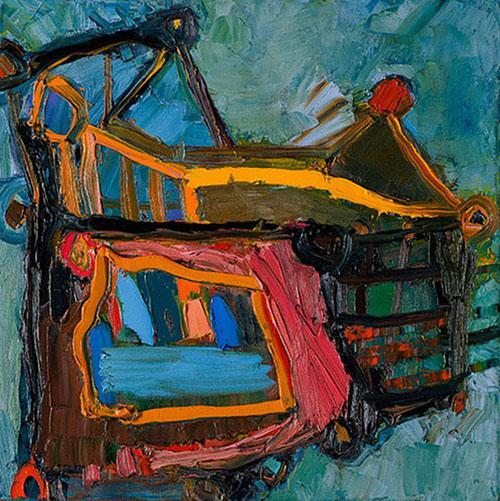 Juried by artist Joel Janowitz, whose own work can be found in numerous public collections and has exhibited in over thirty solo exhibitions. "Unframed" is a multi-artist exhibition featuring unframed art work created on paper. Each piece is purposely displayed directly on the gallery wall allowing a more thorough exploration of each piece. "Expanding and releasing the paper from its constraining structure often creates visual, as well as structural problems within the work," said Elaine Sapochetti, one of the artists featured in the exhibition. "Yet, challenging these restrictions also makes the development of the art endlessly exhilarating and the completed work always a surprise. Just as in life, pushing boundaries can frequently lead to new, complicated, exciting, and inspiring revelations." Selected artists include Sandra Baker, Jessica Beck, Antonio Cardoso, Heidi Caswell Zander, Daniel Feldman, Sarah Friedman, Lisa Goren, Hillary Irvine, Allison Jané, Leonie Little-Lex, Ted Ollier, Ponnapa Prakkamakul, Elaine Sapochetti, Patty Stone, Ellen Stutman and Michael Yefko. There will be a reception for "Unframed" on Friday, June 22, from 6:00 p.m.⎻8:00 p.m. Brookline Arts Center is located at 86 Monmouth Street in Brookline, Massachusetts and is open Monday⎻Friday 9:00 a.m.⎻5:30 p.m. For more information, please visit brooklineartscenter.com/gallery/unframed. Sponsored by: Bromfield Gallery, North Bennet Street School, Fruitlands Museum, Solomon's Collection and Fine Rugs, Vizivel, Fuller Craft Museum, Mill Brook Gallery & Sculpture Garden and the Artscope Tablet Edition. From May 30⎻July 1, Bromfield Gallery presents "IT'S ALIVE!" by Robin Levandov, oil paintings that keep secrets and tell stories; and "In Depth: 3D Artwork On and Off the Wall" by seven Gallery Artists. The opening reception is Friday, June 1, from 6:00 p.m.⎻8:3 0p.m. Open weekdays 9:00 a.m.⎻5:00 p.m., Saturdays 10:00a.m.⎻2:00p.m. Candice Smith Corby, "One Day I'll Have a Cat and a Lover"
Saturday, June 2 at 2:00 p.m. at Fruitlands Museum, celebrate 175th Anniversary of the Fruitlands Transcendental community with Behind the Scenes: 175 Years Since Utopia. We will begin with a presentation with Fruitlands Curator, Shana Dumont Garr before walking down the hill for a special curator tour of the Fruitlands Farmhouse. We'll close out the day with a sparkling cider toast to mark the occasion. Trustees Members $5. Nonmembers $10. Register online today HERE. At Artist Talks the following two Saturdays, explore contemporary art and meet this season's Guest Artists, Candice Smith Corby, who will discuss her work featured in Inhabiting Folk Portraits on view in the Fruitlands Art Gallery, and Alexi Antoniadis, whose outdoor sculpture, Eden 2.0, has been recently installed on the Fruitlands landscape. Both Artist Talks are Free with Museum Admission, Reservations Recommended. Saturday, June 9 | 2:00 p.m.⎻3:00 p.m.
Saturday, June 16th | 2:00 p.m.⎻3:00 p.m. 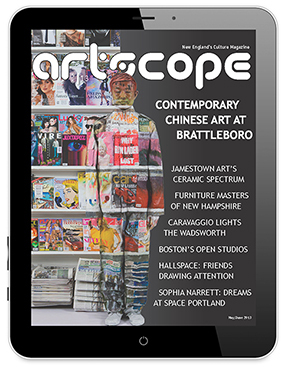 The summer season of ArtCountry is packed with art and cultural events from the Berkshire hills of western Massachusetts to the foot of the Green Mountains in southern Vermont. ArtCountry's venues are Clark Art Institute in Williamstown, Mass MoCA in North Adams, Williams College Museum of Art in Williamstown, Bennington Museum in Bennington Vermont, and Williamstown Theatre Festival in Williamstown. New this year is the 5-way ArtCountry Summer Pass ticket, which can be purchased to receive discounted admission and other perks. These as well as 4-way and 3-way tickets can be purchased at ArtCountry venues and lodging partners. There are dozens of art events and exhibits to visit as well as local restaurants and other activities. For more information on ArtCountry and the establishments that are a part of it, please visit artcountry.org/visit. The Kingston Gallery is currently showing two exhibitions through July 1. On view in the Main & Center Galleries is "The Awake Fluid of Inside Dreams", a solo exhibition by artist llona Anderson featuring her most recent work. 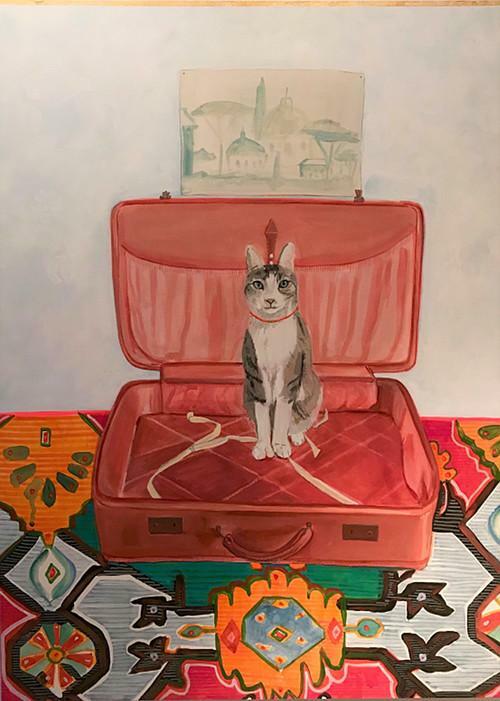 After years of painting and drawing, Anderson's newest work incorporates animation to connect her previous drawings, paintings and photography with imagined narratives. Her work is inspired by her experience as an immigrant to the United States and is connected by the belief that home is found in moments and experiences. On view in the Kingston Project Space is "Small Works," a solo exhibition by Erica Licea-Kane featuring pieces that are a continuation of her previous series exhibited in 2017 titled "Over and Over." 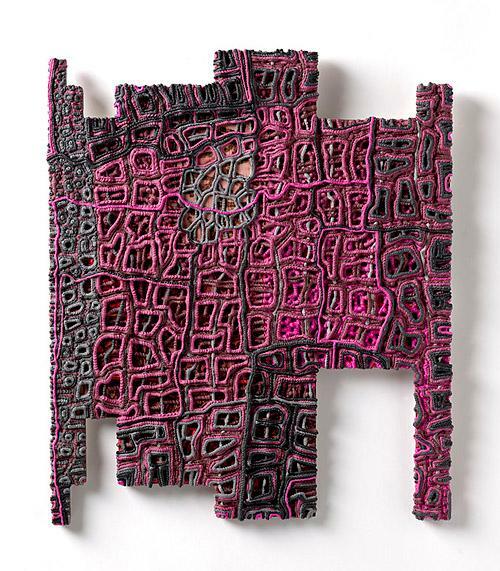 A former textile artist, Licea-Lane uses deep layers of paint to create surface density and deep structure resulting in intricate abstract pieces. Licea-Lane says, "They speak about time, process, and the textiles that became the common thread in my childhood." Both artists draw on their life experiences to create their work resulting in two unique and captivating exhibitions. There will be an opening reception for both exhibitions on Friday, June 1 from 5:00 p.m.⎻8:00 p.m. Kingston Gallery is located at 450 Harrison Avenue, Number 43 in Boston, Massachusetts and is open Wednesday⎻Sunday 12:00 p.m.⎻5:00 p.m. For more information, please visit kingstongallery.com/exhibitions. Human Impact: Stories of the Opioid Epidemic will bring together artists working in craft-based media with families that have been impacted by the New England opioid crisis. Following an in-person meeting, the artists will create new works inspired by the conversation and be provided substance use information by High Point Treatment Center to inform their process. The final commissioned works will be exhibited at Fuller Craft from September 2019⎻March 2020. 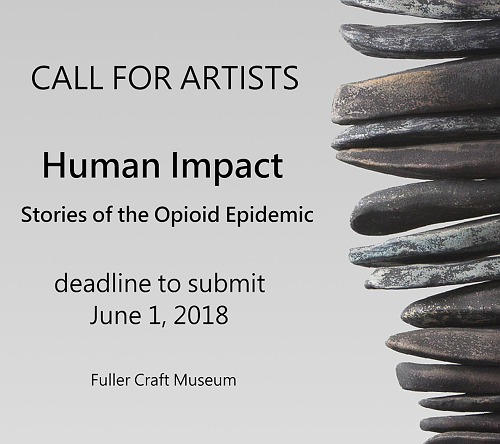 Human Impact: Stories of the Opioid Epidemic is partnership between Fuller Craft Museum, the Plymouth County District Attorney's Office, Quincy College, Brockton Hospital, High Point Treatment Center, and Stonehill College. For more information, please visit: fullercraft.org/exhibitions/proposals/open-call-artists. Andreas von Huene, "Turning Great Horn Owl," granite, 10 x 48 x 22"
Whitmore Boogarets, John BonSignore, Jeffrey Briggs, Lindley Briggs, Joseph Gray, Peggy Brightman, Scott Cunningham, David Ernster, Josie Campbell Dellenbaugh, Liz Fletcher, Bruce Hathaway, Al Jaeger, Madeleine Lord, Rob Lorenson, Andy Moerlein, Chris Plaisted, Murray Dewart, Philip Marshall, Nancy Reilly, Antoinette Prien Schultze, Bob Shannahan, Jeff Whittum, and Andreas von Huene.